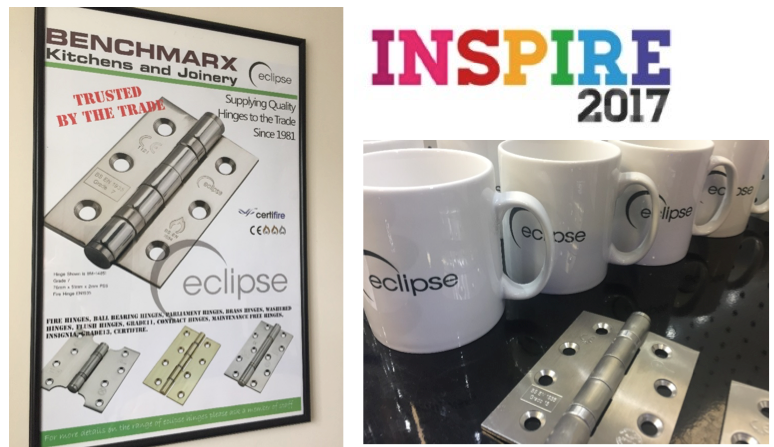 We were really happy to be invited to display eclipse product at Benhcmarx Inspire 2017 event in May 2017. We took along 7 metres of display, with hinges, locks, levers, signs, accessories, door closers and more. The event was for internal staff and gave us the opportunity to meet staff, discuss ideas, products, the industry and put a face to a name. Everyone we met at Benchmarx was engaging and enthusiastic to grow business. We got through 300 cups and 100 posters for the Benchmarx branches to promote eclipse products. Looking forward to developing the action we took away and Inspire 2018.